Amazing details and design! 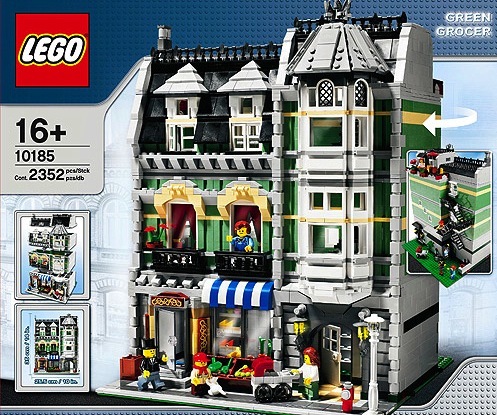 Expand your LEGO neighborhood or start a new one with the Green Grocer! 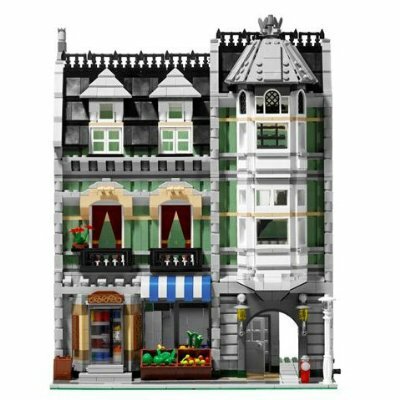 Designed in a modular style, this colorful and lively building features a grocery store and classic apartments that can be built, rebuilt and rearranged to suit your own LEGO town. 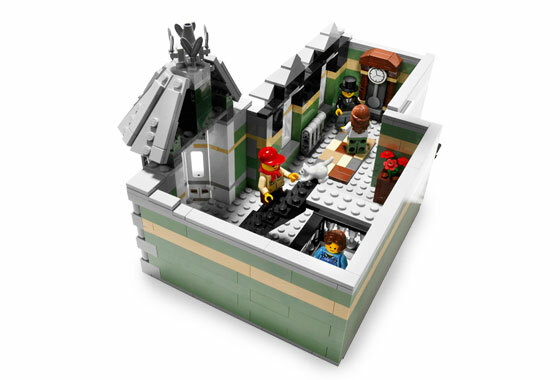 Detailed architecture includes realistic interior, courtyard access, a roof terrace and fire escape, lots of windows and doors, and much more! 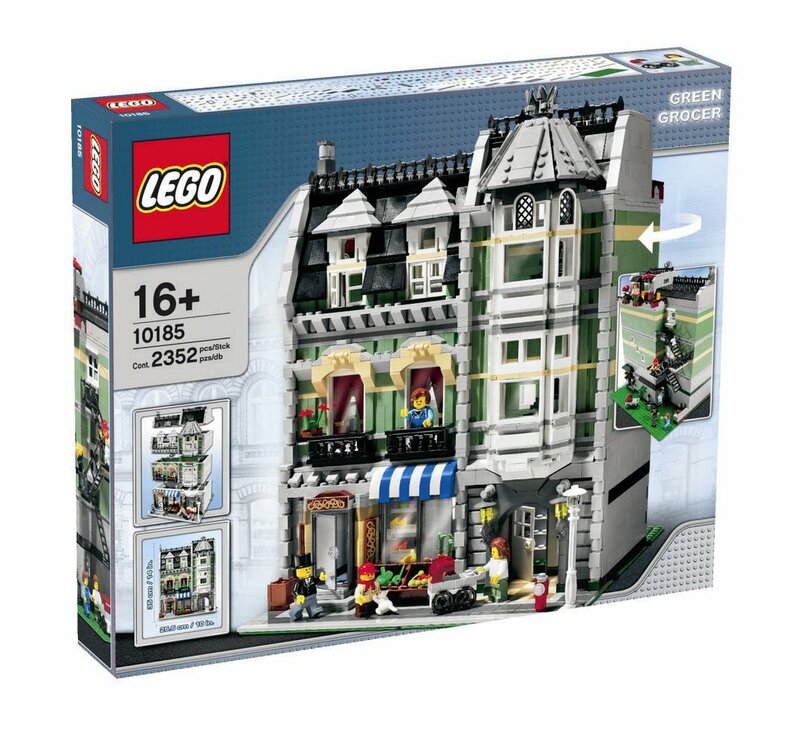 Build a street layout by combining Green Grocer with 10190 Market Street and 10182 Caf?© Corner! 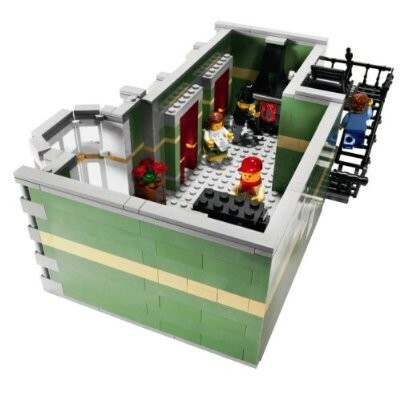 Top 3 floors lift off to reveal inner rooms! 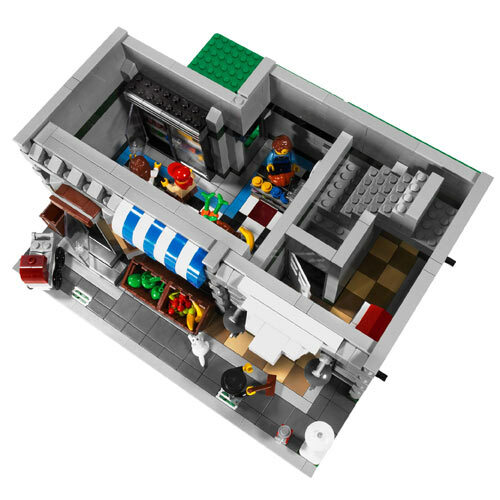 Grocery store features a blue and white awning, cash register, bins for bread, vegetables and fruit, refrigerator and tiled floor! 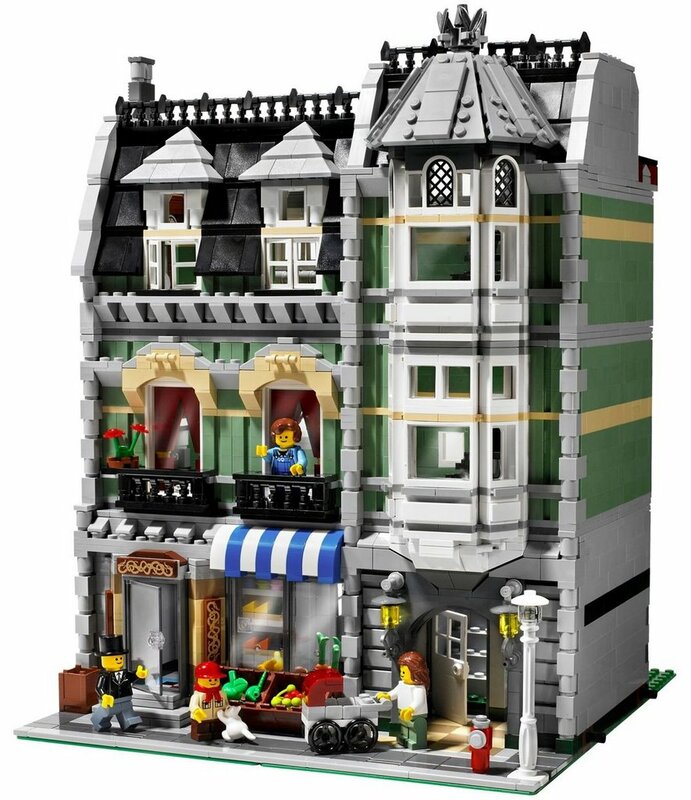 Apartments have lots of details like bay windows, fireplace with tools, grandfather clock and windows that open to the fire escape! Stairs lead up to the apartments and to the roof terrace! Roof terrace has chairs, umbrellas, grill and flowers! Check the mailboxes for letters! 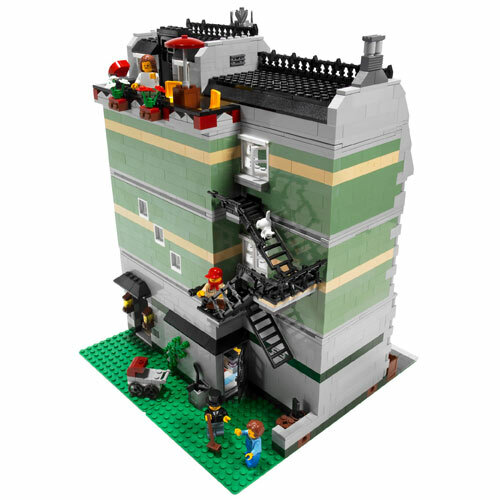 Fire escape ladders move up and down! Access the courtyard behind the building! Street features lampost, fire hydrant and light fixtures! 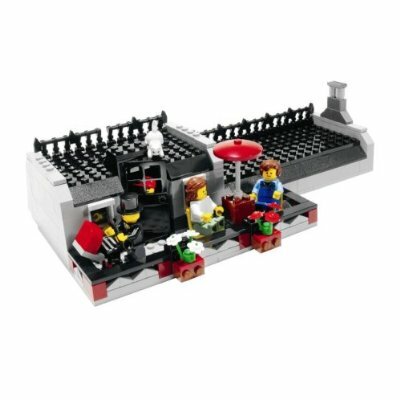 Includes 4 townspeople minifigures, plus a cat and rat! Measures 14" (35cm) high and 10" (25cm) wide!